Artist by trade and DJ by craft, Gem produces experiences that seduce the audience and lures them into her meticulously cultivated audiovisual realm. Though she asserts herself as a sound selector or vibe curator, Gemynii an open format DJ with an extensive collection of music that represents the best of House, Clubbeats, Afrobeat Hip Hop, and old school sounds. 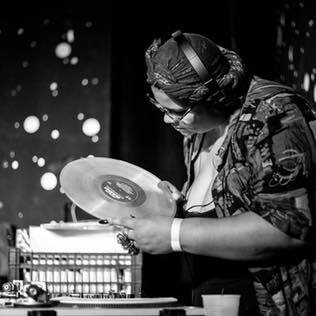 Since the summer of 2016, Gemynii has been a resident DJ at Pinhook where she the created Conjure - The Celebration of Black & Brown Femmes. Working with local artist ZenSoFly and Mballa, Gemynii has been a part of opening up for major acts like Rico Nasty, Oshun, and Miguel. She's also been a part of festival scene performing Moogfest, A3C Fest, Art of Cool, HopScotch,and Southern Fried Queer Festival in 2018.